MYC Graphics offers a full range of graphic design services. Our creative team has extensive experience among a diverse set of varying industries and have showcased our work in campaigns, events, and publications across the country. Our design team has won multiple design awards for their creative work and is always willing to help our customers meet their vision. Because of the vast amount of services we are able to produce, our graphic design company has to be extremely versatile in its graphic design abilities. We are able to design anything from something as simple as a business card to designing and prototyping outdoor building signs or vehicle wraps. Graphic design doesn’t just mean making pretty graphics. Our designers understand the importance of branding and the value that it brings to its clients. Our graphic design team understands how to follow brand guidelines (or create brand guidelines if none exist) to make sure your marketing materials follow strict standards while still looking great! We design for conversion and retention so that your business can grow, and so that we can grow with you! 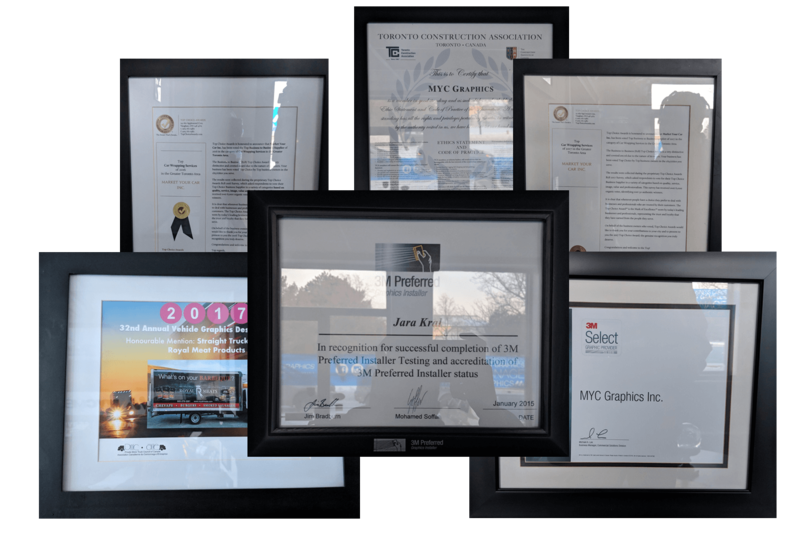 Being one of the top graphic design companies in the GTA, come stop by our shop in Mississauga ( the closest intersection is highway 401 and Dixie road) to have us take charge of your next design project.